In today’s post we have gathered time tracking tools for freelancers.You know,being a freelancer may seem an agreeable job for almost everyone but you also have to be serious in your career like others.Working as a freelancer for many clients isn’t something easy.In fact it can be frustrating.Whether you are a content writer or a web designer or a developer you may get dozens of work for you.So sometimes tracking your time or managing your bills manually do not often go so well.That’s why time tracking tools have been created for freelancers.With timetracking tools,you can easily monitor your time and work without any management problems with your clients.Moreover,time tracking tools can be used not only when your are in front of your computer but also with your iPad,mobile phone etc. Here are 21 time tracking tools for freelancers.What is your favorite tool? The platform provides easy time tracking, simple project management, a detailed performance dashboard, forecasting of work and automatic client reporting. It is very useful for anyone who tracks time on clients and projects, but our primary customers are marketing consultants and accountants from 1-20 people. OfficeTime automatically detect how long you’ve been idle and subtract it or assign it to a different project and track visual history or your days in your favorite iCal calendar. 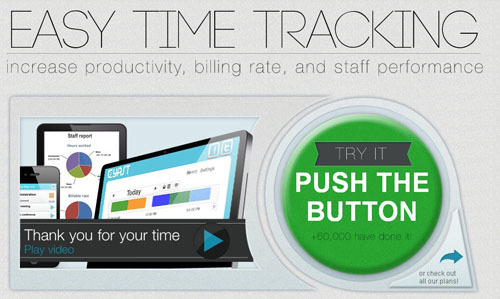 OfficeTime features one click Quick Reporting to instantly see where your time has gone. This online time clock software is perfect for remote employees and mobile workforces.They make timesheets and payroll the easiest parts of your job. 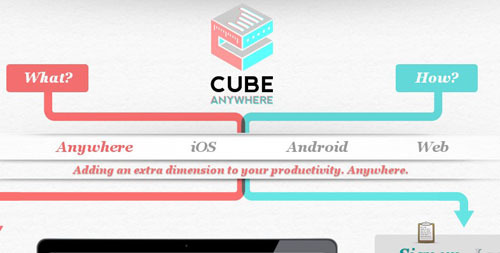 Cube Time & Expense Tracker manages your Projects, Tasks and Clients and is fully integrated with Google’s services, making your time and expense reporting easy, simple and fast. 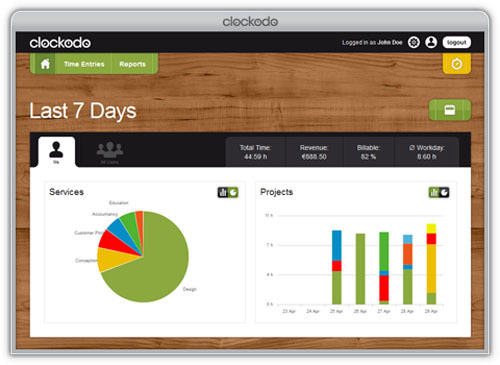 With clockodo you can instantly track working times categorized by customers, projects, and occupations. The times are recorded online on the web, by using the desktop software, or if you are out and about, a smartphone. You can use clockodo on your own, in a small team, or with any number of employees, without the need for expensive hardware or time-consuming software installations. With Klok you can avoid the unnecessary step of keeping track yourself. Simple start working on an item by dropping on the “Drop here to work on” area at the top of the screen (or right click a project or task and choose “Work on”). When you start working on something else the timer on the previous task will automatically stop and a new one will start. 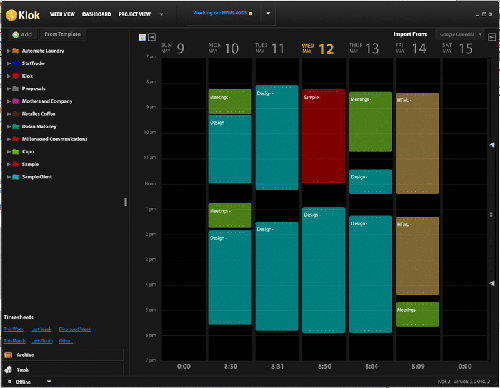 The time spent on the task will be added to your week view and show up when you view the dashboard or timesheet. You can also stop a timer manually using the stop button at the top of the screen. Once you sign up for a free or a premium Paymo account, your company information will be accessible via your own company Paymo URL (web address). During the sign-up process, you will be asked to choose a name for your URL.Paymo supports users all over the world. Because of this, the system allows for each account to work in multiple languages and currencies. 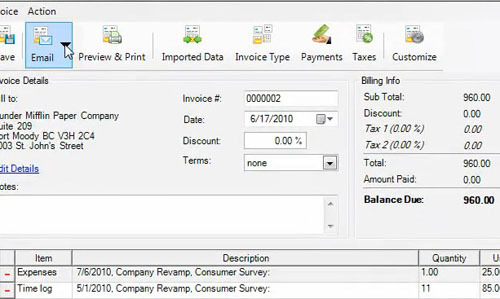 You can even create invoices with different currencies in the same account! 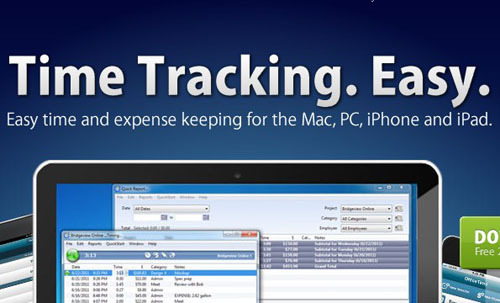 Chrometa captures every minute of your time as you work on your PC and/or Mac.It acts as your personal timekeeper by recording how long you are working in an application, specifically noting what file or email you are working on, creating a time entry for you. Talygen is a professional services automation (PSA) tool used to manage projects, customers, sales, time tracking and billing.Talygen is a hosted solution, software as a service (SaaS), Cloud computing or software on-demand, where the software and data are maintained in a secure, remote server and available through a computer’s web browser from anywhere at anytime. Time tracking is simple and lightning fast with Harvest. Set up takes seconds, and there’s nothing to install. 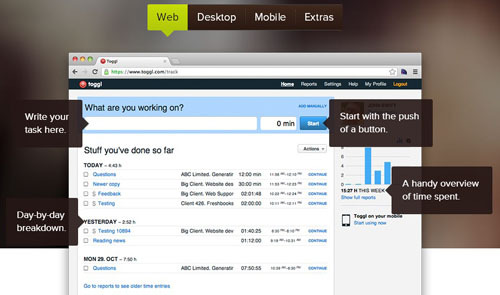 Toggl lives on the desktop just like any other app. Control tracking from the tray icon in Windows, or check status from the dock on a Mac.Whether 3-, 10-, or 15 inch, Toggl adapts perfectly to any screen size. TSheets is another great timetracking tool for freelancers. Every TSheets subscription comes with added-value features that help integrate our time tracking system into the daily life of any business, including API developer control, invoicing options, and more. 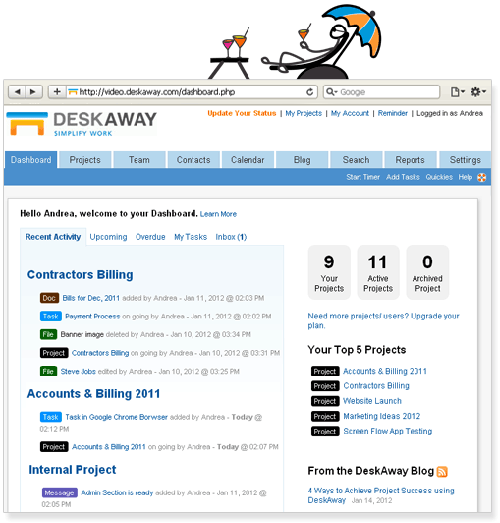 DeskAway is a smart web-based project collaboration software that provides teams a central place to organize, manage & track work.It is 100% Web-based. Grindstone comes with tools for setting warnings and reminders, calculating charges and rates, displaying custom timers, and creating reports that show your work from a high level or down to the smallest detail. It even has a tool for finding and reclaiming gaps in your time keeping after the fact. I think one of the best.It has many many features so just check this link for a complete tour. 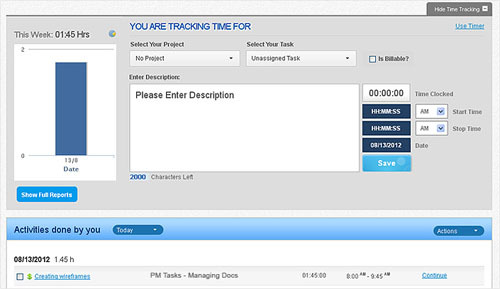 Easy Time Tracking provides you with an easy and flexible way to keep your time logs updated. 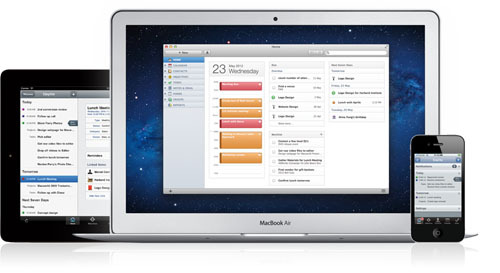 On the Time Logs History tab you can sort or filter records by virtually any field. 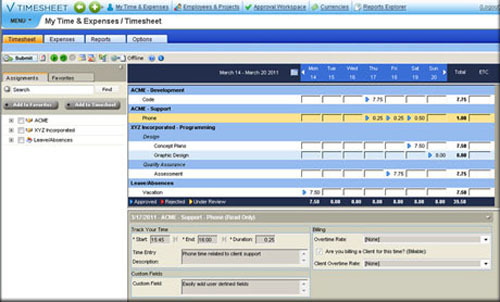 Statistics help you see billable or non-billable time totals for any project, task or client. Each time entry is either billable or not. 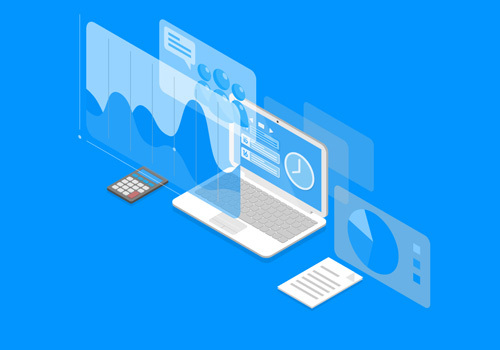 With Worksnaps Standard, you get everything you need to track time and work activities for your users, create reports and charts, generate simple invoices and connect with multiple third-party services. You get pretty much everything on the feature list. 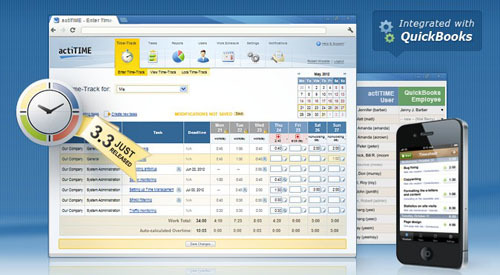 Flapps is another web-based online software for businesses that need to track time and project expenses and to manage their employees time off.Flapps is simple and quick to use, yet well structured to give you meaningful reports on many aspect of your business. 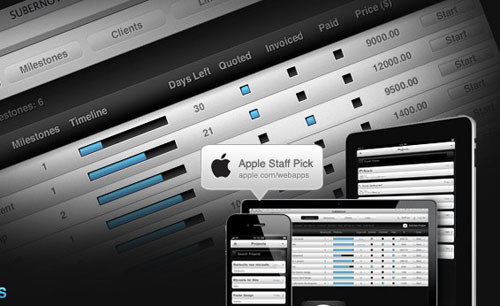 Subernova provides a project management tool, an invoicing app and a time tracker that works seamlessly together.Subernova lets you track time, send invoices and estimates, collaborate with others and keeps your business smooth by keeping tabs on late payments, deadlines and more. 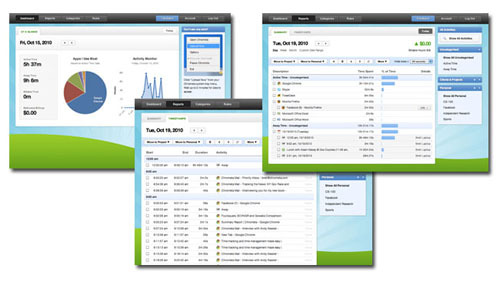 Daylite is a business productivity management software; and Billings, a professional time billing and invoicing application – both catered to single users and small businesses alike. Dovico Software provides proven time and cost saving solutions that have been embraced by thousands of the world’s best known companies such as Wawanesa Insurance, National Geographic, McAfee Inc. and Microsoft. 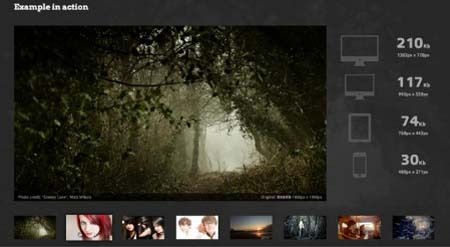 actiTIME is a web-based application that means you will access it via web browser. The application itself can be installed in your office or hosted at our secure data center and provided to you as a service. Fanurio helps with the less appealing aspects of freelancing like keeping track of time and invoicing. It’s a useful application, with a user-friendly interface. Nice list! I would also like to introduce our time tracking app Yanomo.com to you. 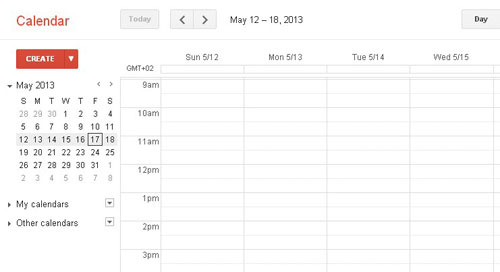 Calendar based time tracking with Google Calendar sync. Since we developed it ourselves I will leave rating it to others but feel free to have a look.